Review: The world is a stage, filled with many acts – acts of love, loyalty, betrayal and deception. And Masquerade has it all, plus more. 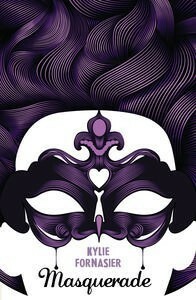 Masquerade eloquently, and expertly, follows the lives of seven teenagers during the Carnevale of Venice in 1750-1751. Orelia is an orphan who has arrived in Venice to learn about her mother’s past. Veronica and Angelique are the daughters of an aristocrat, one sister likes to learn secrets, while the other is desperate to love. Anna is a servant with a dream far from her reach, but a secret much closer. Claudia has a wish of her own but is deterred by a tenacious mother. Bastian, is the son of the Doge, but has dreams far different to than those of his father. And Marco, the jovial brother and friend, who sometimes places the wrong bet. The story starts when Orelia, newly orphaned, arrives in Venice to find a relative who does not know she exists, and to find out more about her mother’s history, and why she left Venice. But while Orelia finds the sanctuary she seeks in a city that seems to sing to her, she also finds that this city is a stage, and she is a player in an elaborate act. Orelia must keep her secret, but as the story develops, we find that she is not the only one hiding behind a mask. 1750’s Venice comes alive in Masquerade. Kylie Fornasier does not just describe this truly beautiful setting – she creates it for you. The descriptions of everything from Venice’s canals and piazzas, to the beautifully created masks, to the equally elaborate and uncomfortable clothing and costumes, every single detail in Masquerade was rich and filled with such clarity that you cannot help but be transported into this amazing world. I just adored the little details that were included, the weather, the pigeons, and the smell… all the things that are much a part of Venice as the Piazza San Marco. Along with amazing visualisations, Masquerade is filled with wonderful details about life in Venice in this time period. Although a few liberties were taken, the politics, social standings, prejudices and superstitions in this period are perfectly reflected within this story, and the characters are all the richer for it. Masquerade is a five-act play, and I adored the fact that that each act was introduced with a William Shakespeare quote. I enjoyed the pace of the plot, how secrets were unearthed, and how the lives of these very different, but yet equally trapped, teenagers intertwine. I actually enjoyed this book so much, that when I came across something that would normally drive me to distraction, I (uncharacteristically) could move straight past it and continue to be lost in this world. I also loved the fact that there is just the right amount of Italian spoken throughout the storyline. Most of the Italian throughout the book are words that you may already know, but if you get stuck, there is a helpful glossary in the back of the book to help you with the terms, titles, names and things you are not familiar with. I thoroughly enjoyed everything about Masquerade. I was sucked into the world from the very foggy beginning, right until the dramatic final act. Masquerade is a brilliant YA historical fiction book, by an amazingly talented Aussie author. I truly hope there is a sequel, as there is so much left to explore in this amazing world and I would love to find myself back in 1750’s Venice. Games and gossip, power and players, dreams and deception, secrets and sacrifice. Masquerade is a story about people hiding behind masks. And how to “find yourself in the city of masks”. Kylie Fornasier has created a Pinterest board to bring the book alive for readers. This is an amazing collection of everything from key settings, buildings and bridges, to gondolas, to costumes, to food, to artwork. Visit the ‘Masquerade, a young adult novel’ Pinterest board here. I cannot wait to read this! I love Venice and have recently been (same as the author!) as well as its history and the legends that lie within it. I’m glad you enjoyed it and I look forward to reading it myself and uncovering the mystery and plot twists as I go! Thanks for the awesome review, it has made me so excited!